Geomatic and Geographic Information Systems (GIS) are often mistaken to mean the same thing as they share some resemblance but are actually two significantly distinct disciplines. It is therefore insightful to explore what is the difference between geomatics and GIS for their optimal and reliable use. Both terms originated from Canada but had significantly different intents. GIS was conceptualized by Dr. Roger Tomlinson in the 1960s as part of the Canada Geographic Information System (CGIS). Tomlinson is regarded as the father of GIS as the term was first used in his paper “A geographic information system for regional planning”. The program proved useful in mapping information on land capability in rural Canada ranging from soils, agriculture, forestry and land use. CGIS adopted a layer approach system to map handling and was therefore unique as compared to the existing mapping methodologies. It consequently evolved to a vital computer-based tool for storing, analyzing and manipulating map-based land data. GIS collects geographical information, stores it, analyzes it and visualizes geography on a map. it is thus considered a very important and efficient, tool as it can barely solve or real-world problems with a geographical nature including infrastructure networking, environmental monitoring, climate change among others. It is also cost-effective in providing a solution to data management, analysis and visualization. 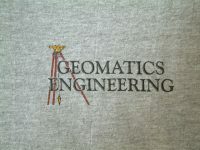 The term geomatics was first coined by Michael Paradis in the 1980s as a unifying umbrella for the multi-disciplinary challenges that existed at the time. The aim was to develop individual technologies as well as geographic data collection approaches. He believed that combining the different technologies from different fields would ensure synergy. The term also illustrated how modern technology data acquisition was becoming useful in disciplines such as hydrography, photogrammetry, surveying among others. For one, Geomatics involves the collection and management of geographically referenced information while GIS involves the collection, storage, analyzing and visualization of geographical information. While GIS is defined as geographical data stored in layers and integrated with a geographical software to create, store and manipulate spatial information, geomatics involves the processing and delivery of spatially referenced data and is, therefore, more collective. GIS is mainly based on geocoding and converting geographical information into images in form of a map. Geomatics, on the other hand, involves the presentation of data and processes for sustainable growth and development. GIS integrates spatial data as well as descriptive data while geomatics includes the integration of geospatial technology tools such as mapping, global positioning system, survey, and remote sensing. GIS end-data is used for decision making and fostering sustainable development. Geomatics relies on timely data from different resources and provides logical decision towards policies relating to the integrated data. GIS is a very efficient, effective, but also a quite expensive method for data management, analysis and visualization as it requires a wide range of expensive software. In conclusion both GIS and geomatics are closely interrelated disciplines which are vital in solving modern geographical problems by the utilization of technology. besides, the technologies are distinct and independent of each other but may overlap in some areas. Previous article What is Geomatics? Next article Basics of Geomatics. Literature.